After breakfast we head out to the spectacular Rift Valley. We will stop on route at a viewing point overlooking the valley where you can take in the breathtaking scenery. You get the opportunity to capture some panoramic landscapes and portraits. On arrival at the park you have a good chance to capture the elusive Rhino. 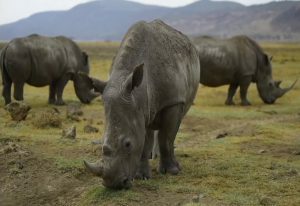 Visitors to Africa rarely get to see Rhino and almost never get images on their first day! The changing ecosystem in this area provides some unique landscape and ornithology opportunities. Kenya holds the world record for the number of bird species seen in a 24hr period, some 342. Many have their habitat in this area. We take advantage of this abundance by enjoying a boat ride along the lake shore. 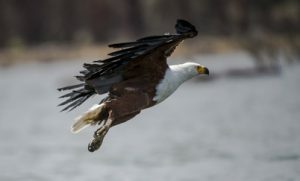 You will be able to capture close up images of numerous birds including Kingfishers and Fish Eagles as they dive into the water. We spend the night at a luxury lodge which has everything to help you relax including a pool. Masai entertainment is often featured and you can enjoy a pre. or post dinner drink by a campfire. In the morning there is an additional game drive to look for more rhino plus another boat ride before we head back to Nairobi.